In our network environment, we have three major IGPs. We run RIP, OSPF and EIGRP. Recently we found that none of the routers running OSPF can see the route to 172.16.9.0/24 in their routing table. 172.16.9.0/24 is the IP address of the loopback0 interface of SW3 which is running EIGRP. We checked the redistribution point, which is R6, and we checked all redistribution policies on it. We haven’t found any policy that blocks this route. We really want to make this IP address reachable. Hi Ankit, thank you for your reply. Yes, your solution is working as well. Actually there are many working solutions, and the one provided is just one of them. 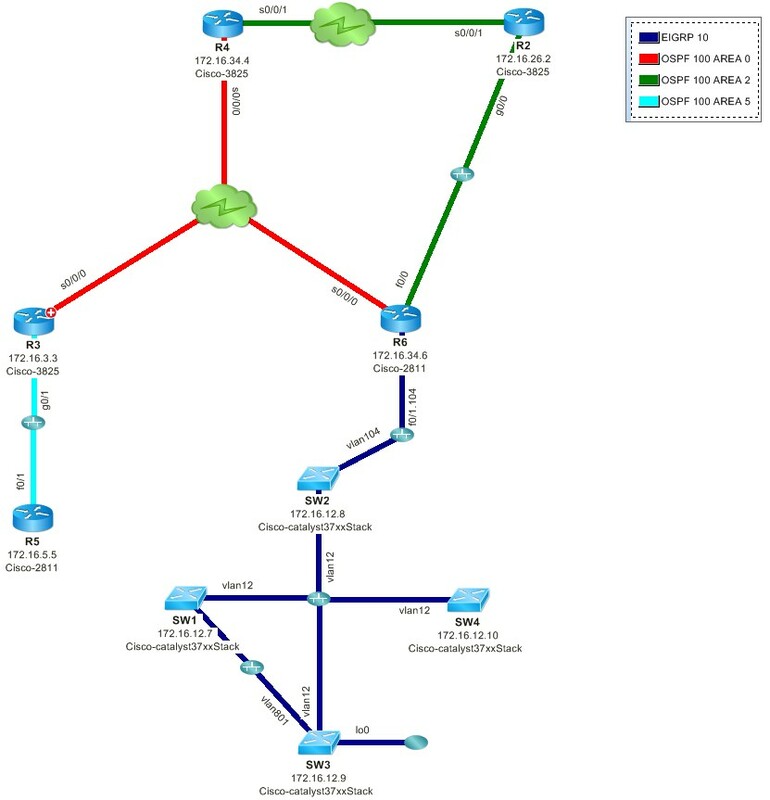 As you may know, the root cause of the missing route is that SW3 doesn't advertise any connected route to his EIGRP neighbors. As long as we focus on letting SW3 keep advertising the connected routes, we got the point. In terms of the stub feature and summary routes, you can of course keep all of them. Thanks Qi. You are right our goal was to provide missing route but removing eigrp stub static removes the router which is configured as stub which is not correct that is the reason i put back eigrp stub so the feature still exist and we get the missing route.